I must admit, I never even thought about homeowners insurance until my friend bought her first home! It’s one of those things that you just don’t think about and then you have no choice. So, you can imagine her frustration when she realized there was yet another cost of home ownership on top of the monthly mortgage. The good news is that there are ways home owners like my friends can save money and I want to share these 10 tips to learn how to save on homeowners insurance. Also, this can be a great guide to reference while requesting quotes from various homeowners insurance providers. Below is a chart showing the states with the highest (Florida), and lowest (Idaho), average homeowners insurance premiums compared to the national average in 20141. As you can see, Floridians pay nearly four times as much as residents from Idaho pay. States that are more susceptible to natural disasters are often the most expensive. In this case, Florida is very prone to hurricanes, which is why it has such a high premium. Save money on your homeowners insurance with these 10 useful tips. Hopefully at least one of them can help you out. There are many positives to getting a home security system, but one often overlooked benefit is saving on homeowners insurance. Most of the time you’ll receive about a 15% discount, however some insurance companies discount as much as 20%. The more detailed and equipped your home security system is the more of a discount you will receive. It’s also important to remember that monitored systems are usually favored over unmonitored systems. To make sure you’re getting the largest discount on your homeowners insurance, contact your insurance provider before purchasing your security system if possible to find out what discounts they offer. Protect your home in other ways by installing deadbolt locks on all your home entrances and sash locks on all your windows. Consider adding different types of detectors like heat, smoke, fire, flood and carbon monoxide. Keep the exterior of your home well-lit by installing outdoor security lighting with motion detectors. If you already own a home, it’s obviously too late to consider this option. But, if you are looking for a new home, be sure to keep in mind neighborhood safety. 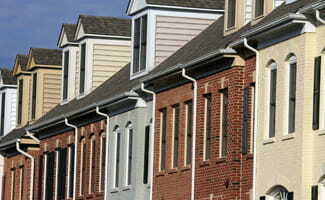 Living in a safer neighborhood will give you a better discount on your homeowners insurance. Find out how safe the neighborhood is with a quick search on Spot Crime. Having a good credit score shows that you are responsible with your finances and are likely to pay them in a timely manner as well. A person with a poor credit score is considered a higher risk, so they get charged higher premiums. To avoid a higher premium – with home owners insurance and other services – be sure to maintain a good credit score. Insurance companies often cover a wide range of products including car, life, health, renters, etc. By using one insurance provider for multiple products you can save by bundling. Talk to your insurance provider about this option to find out what other types of insurance they offer. This tip can be applied to all types of insurance. One way to insure that you are paying the lowest possibly premium is to get quotes from multiple insurance carriers. By sticking with the same insurance provider year after year you show your loyalty and dedication to them. Some offer discounts for your loyalty. Find out what discounts your insurance provider offers to find out if it’s worth staying with them or shopping for a new provider. Raising your deductible can save you as much as 25% on your premium. Most homeowners insurance policies have a $500 deductible, which is the amount you’ll pay out-of-pocket for any losses before your insurance company covers the rest. If you can afford it, raise your insurance deductible to save on your monthly premium. Many insurance providers offer discounts for being affiliated with certain organizations. Organizations can range from college fraternities and sororities, owning a specific credit card and being a member of a credit union. Contact your provider and ask for a list of organization affiliation. Leaving an unattended cigarette, falling asleep smoking or simply dropping a cigarette causes thousands of residential fires each year. Not only is smoking bad for you, but choosing not to smoke can save money on home owners insurance, too. Some providers offer discounts if all the residents in the home are non-smokers. How did these tips work? Well, while my friend was not excited about the extra money each month, at least she found a couple of ways to bring the cost down. Her credit card company had a partnership with an insurance company who was also able to bundle her auto insurance. She also increased her deductible above the standard plan and installed a monitored home security system. Oh yeah, and she hates smoking so that was a nice little bonus discount too! Have you tried some of these out and had success or failure? Tell us about your experience and help our readers by offering them your advice!